The police had alleged that Surinder Singh misused his position and had assaulted New Delhi Municipal Council (NDMC) beldar Mukesh and had also used casteist remarks against him. 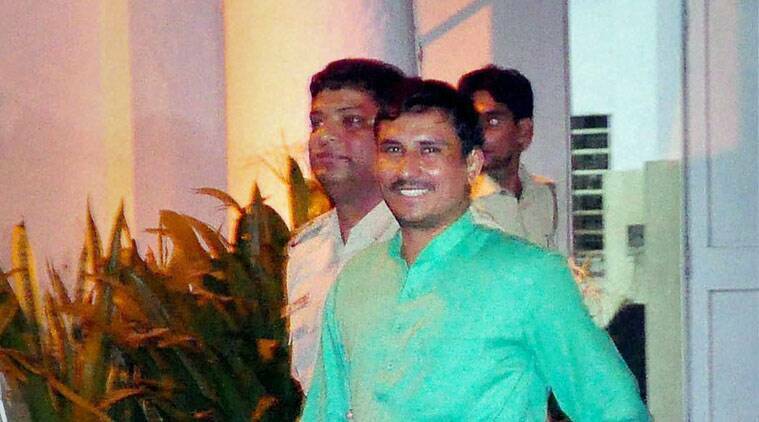 AAP MLA Surinder Singh, arrested on Friday for allegedly passing “caste-based derogatory remarks”and roughing up officials of the New Delhi Municipal Council (NDMC), was granted bail on Saturday by a city court. Observing that Singh and two other persons were not facing “serious charges such as kidnapping, murder etc,.” Metropolitan Magistrate Gomti Manocha granted bail on a personal bond of Rs 30,000 with one surety. Senior advocate Ramesh Gupta, appearing for the MLA, told the court that the case was based on a “political vendetta”. Gupta also argued that there was a “cold war-like situation” in the capital between political parties, and that “Singh belongs to one party while another party controls the Delhi Police”. According to police, Singh and two others had “roughed up” NDMC employees R J Meena and Mukesh while trying to stop them from impounding the rehris of “unauthorised vendors” on Safdarjung Road. Meena, in his complaint, had alleged that Singh had used “caste related derogatory words” to “demean” him, and had then beaten up the NDMC employees. Police had filed a plea stating that the three arrested accused should be sent to judicial custody, since the charges against them included offences under the SC/ST Act. The court, however, observed that there was “no embargo” against granting bail.